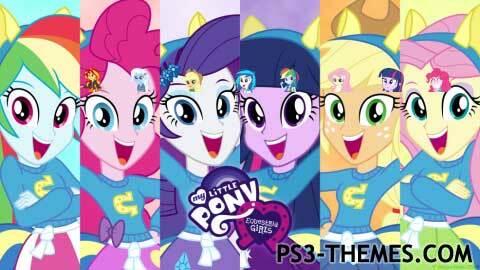 This is a modified version of Cliff_Racer_562’s theme “Equestria Girls HD PS3 Theme”. It removes two HD wallpapers from it (14 HD wallpapers originally – 2 wallpapers = 12 HD wallpapers), changes all the XMB icons, adds 6 SD wallpapers, and adds a theme icon. This theme was posted by PS3 Themes on November 19, 2016 at 3:02 pm, and is filed under Movies/TV.